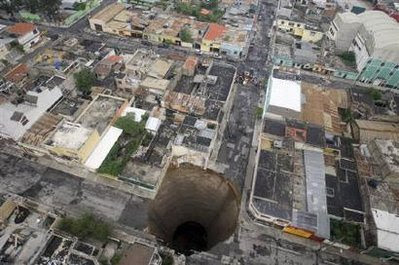 A giant sinkhole caused by the rains of Tropical Storm Agatha is seen in Guatemala City May 31, 2010, Sunday. 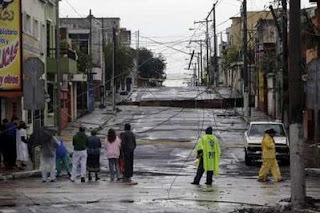 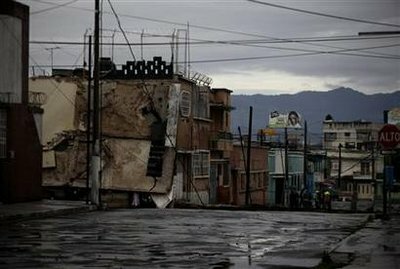 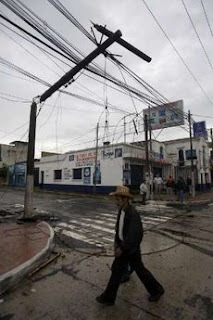 Torrential rains broughtby the first tropical storm of the 2010 season pounded Central America and southern Mexico, triggering deadly landslides after killing at least 17 people in the region, sparking fears of further mudslides in three countries. 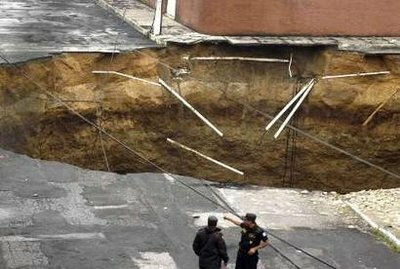 The hole, caused by rains from tropical storm Agatha, swallowed at least one three-story building.